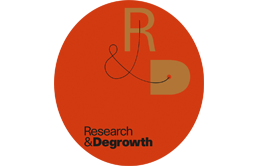 Below we present a by no means full selection of resources on degrowth – key books on the topic, as well as publications on degrowth from/about the Nordic context, including in the media. Check the degrowth Media Library for more. Büchs, M. and M. Koch (2017) Postgrowth and wellbeing: Challenges to sustainable welfare. London: Palgrave. Jackson, T. (2009) Prosperity without growth: Economics for a finite planet. London and New York: Routledge. Kallis, G. (2017) In defense of degrowth: Opinions and minifestos. Edited by A. Vansintjan. Kallis, G. (2017) Degrowth. Newcastle: Agenda. Rosa, H. and C. Henning (eds.) (2017) The good life beyond growth: New perspectives. London: Routledge. Schmelzer, M. and I. Borowy (eds.) (2017) History of the future of economic growth: Historical roots of current debates on sustainable degrowth. London: Routledge. Bjerg, O. (2017) Parallax of growth: The philosophy of ecology and economy. Cambridge: Polity. Chertkovskaya, E., A. Paulsson, G. Kallis, S. Barca and G. D’Alisa (2017) ‘The vocabulary of degrowth: A roundtable debate’, ephemera, 17(1): 189-208. Chertkovskaya, E. and A. Paulsson (2016) ‘The growthocene: Thinking through what degrowth is criticising’, ENTITLE (European political ecology network) blog, 19 February. A slightly modified version of this article has been published in Uneven Earth, titled ‘The growthocene: Let’s be clear about the kinds of growth that neeed challenging’, 3 March. This article has also been translated into Italian: ‘L’era della crescita (‘growthcene’). Pensare con l’approccio critico della decrescita’, Centro Studi Sereno Regis, 4 April. Hirvilammi, T. and T. Helne (2014) ‘Changing paradigms: A sketch for sustainable wellbeing and ecosocial policy’, Sustainability, 6(4): 2160-2175. Holten-Andersen, A.J., M.H. Richter, A.G.C. Jensen, S. Meldgaard, R. Wolf, J. Eskildsen og K. Holten-Andersen (2016). Livet efter væksten – samfundsvisioner i en omstillingstid. Copenhagen: NOAH. Holten-Andersen, A.J., T.H. Christensen, K.C. Holten-Andersen, S.F. Hansen (eds.) (2017) Modvækst - omstilling til fremtiden. Copenhagen: NOAH. Hirvilammi, T., M. Joutsenvirta, M. Ulvila ja K. Wilén (2016) Talous kasvun jälkeen. Gaudeamus. Malmaeus, M. (2013) Tillväxt till varje pris. Notis Förlag. Sanne, C. (2010) Keynes barnbarn – en bättre framtid med arbete och välfärd. Inbunden. Ulvila, M. and J. Pasanen (eds.) (2009) Sustainable futures – Replacing growth imperative and hierarchies with sustainable ways. Helsinki: Ministry for Foreign Affairs of Finland. Andersson, J.O (2010/2012) ‘"Degrowth" – hallittu talouslasku’, Talous & Yhteiskunta, 4/2010; ‘Nedväxt – behärskad ekonomisk nedtrappning’, Ekonomiska Samfundets Tidskrift, 3/2012. Chertkovskaya, E. and A. Paulsson (2016) ‘Nerväxt är ett alternativ’, Sydsvenskan and Helsinborgs Dagblad, 29 September. Sverigesradio, P1 (2016) ‘Att ha eller att vara?’ [with Ekaterina Chertkovkskaya talking about degrowth], Filosofiska Rummet, 11 September.